the adoption of management tools developed by the private sector. The privatization movement had its heydays in the eighties, promoted by President Reagan with his New Federalism policies, as well as by like-minded authors. For a time, there was strong opposition to this policy, especially among unionized workers and advocates of the poor. However, the opposition slowly declined. The pressure on governments to embrace these approaches to improve service delivery preceded the high-tech revolution. But one can take a second look to see whether they are still relevant in light of the dramatic changes that the high-tech revolution has wrought. NASA can be used as a test case for load shedding. Reduced funding required administrators to determine what missions they could or should pursue given the resource limitations. Proponents of privatization can claim that the government retreat has the desired outcome in that the private sector is filling gaps left by the government. The high-tech revolution created super-rich individuals who are very motivated and have the means to explore new space technologies. There have been a few serious technical failures in recent months, but one can assume the private pursuit will continue. One can also describe some aspects of the work as a public-private partnership in light of the collaboration of private entrepreneurs with public experts. NASA has also used contracting to promote space exploration. The Jet Propulsion Laboratory in Pasadena, California, a NASA facility, is actually managed by a contractual agreement with the California Institute of Technology. Contracting with for-profits can cause problems concerning transparency. Government agencies are expected to operate in the open, be it staffing, budgeting or policy decisions. For-profits can be more selective in sharing information with the public. Responsiveness and accountability are other standards that may be interpreted differently in the public and private sectors. Websites provide a case in point. Governments receive awards for maintaining websites that are engaging and easy to navigate. In contrast, businesses seem to be emphasizing functionality and optimal eyeball traffic to sell something. Of course, there are many different types of businesses on the Web, and this observation takes us to the third bullet – making government more competitive as a service provider or as an employer by adopting private sector management tools. This means high-tech tools in the context of this column. The Web was originally developed for the exchange of information, and the high-tech revolution has ushered in the information age. An essential aspect of democratic governments is open communication with the public. The Internet, as it evolved, lends itself as an incomparable channel for a transparent, informative government. The continuous inventions of new hardware and software lead to an unending stream of possible new benchmarks and best practices. The magazine Government Technology and other publications do a good job in reporting on new developments in the private sector that may have implications for public agencies. The possibilities of knowledge transfer are immense and can occur in unexpected places. For instance, Hawaii used game-design engineering to make the state government website more interesting to the public. The case of Hawaii is instructive in several ways. It points out that democratic governments have a different mission than their private counterparts. Accordingly, high-tech tools developed for private-sector use need to be adapted to meet the public mission of government. There is a lot of potential in using the Web and social media for better communication with the public. Actually, the information age may usher in a new era of good government. This may come about because of the pressure on governments to bring their operations into the open. Websites have become the face of governments, and engaging, transparent and responsive ones are appreciated by the public. Governments are not corporations, but public agencies do compete internally and externally in various ways. They want businesses to locate within their boundaries and the best people to apply for their jobs. 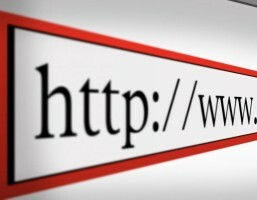 An attractive and informative website can be an important marketing tool.